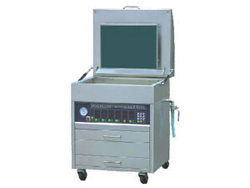 This resin printing plate exposure machine integrates the three functions of exposure, plate washing, and drying. Its maximum resolution reaches 200LPI. It adopts the stainless steel shell imported from the United States. The solid shell has strong corrosion resistance and a long lifespan. The ballast and copy light are from Royal Philips Electronics of the Netherlands. They have reliable quality and good exposure effect. Our product is controlled automatically by computer and is convenient to operate. It adopts a digital integrated temperature sensor imported from the United States. The plate washing motor is from Japan's Panasonic or Oriental. The constant temperature drying wind is strong and the drying is fast. The vacuum pumping system and electrical control system have also been made under strict criteria, which ensure strong production capacity. 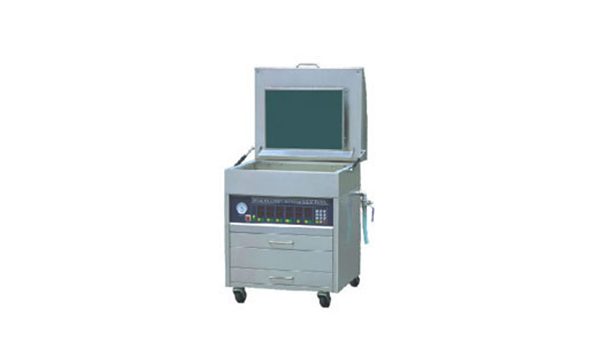 Consisting of light source device, exposure chamber, vacuum chamber, electrical parts, machine base and other parts, the resin printing plate exposure machine is a contact exposure image device used to make printing plate. The original plate and the sensitized plate are closely pressed together through the atmospheric pressure and mechanical pressure. After photochemical reactions, the graphics on the original plate are precisely transferred to the sensitized plate. ZONTEN is a professional resin printing plate exposure machine manufacturer and supplier in China. We offer a comprehensive line of products, including offset printing machine, slitting machine, letterpress label printing machine, Flexo printing machine, and more.